We serve the finest Campbell and Syme coffee. Our current bean of choice is the Waykan from Guatemala. Whether its a flat white or an Americano you will be sure to enjoy the flavour profiles of this versitle bean. Our cakes are becoming famous in the local area. Our baker Wendy bakes exclusivlely for Musette. Firm favourites are her Carrot Cake, Lemon Drizzle and occasionally she spoils us with her Peanut Butter Brownies which are out of this world! 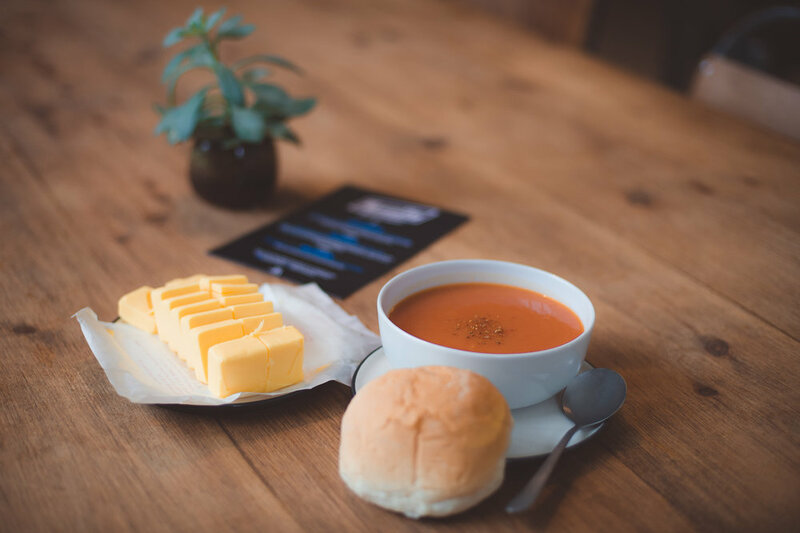 We also serve soup at lunch time and in the new year we are hoping to be expanding the savoury menu.